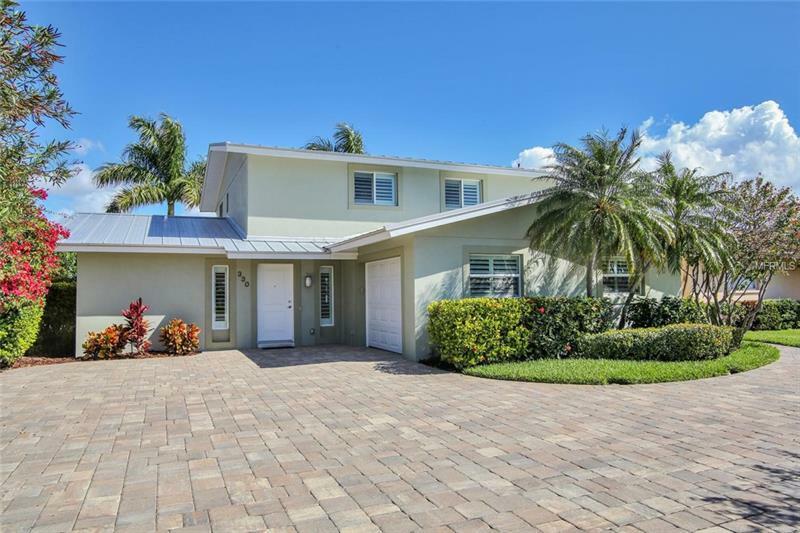 STUNNING REMODELED WATERFRONT HOME WITH AMAZING OPEN WATER VIEWS. Coastal luxury awaits in this 3 bedroom 3 bathroom home of 2310 sq ft directly on the Intracoastal Waterway. In 2012 this amazing property received a new kitchen new master bathroom metal roof new seawall new AC new water heater water filtration system new flooring new staircase new windows/doors elevator and so much more. Relax in the great room while enjoying amazing open water views through a wall of glass sliding doors. Enjoy gourmet dining looking out to the Intracoastal in your spacious dining area. The family chef will not be disappointed in the open-concept kitchen with granite counters and backsplash large island and stainless appliances. The first floor master bedroom suite provides seclusion and romance with French doors overlooking the Intracoastal ample closets and en suite bathroom with beautiful cabinetry and frameless glass shower enclosure. The second floor features a cozy family room two large guest bedrooms with open water views and a guest bathroom. The backyard oasis has an expansive paver patio newer seawall and private deep-water dock perfect for world-class fishing and boating. With 60’ of water frontage the yard has plenty of room for a pool and outdoor entertaining. Just minutes from the beach and a short boat ride to the Gulf this home will fulfill all of your waterfront dreams.